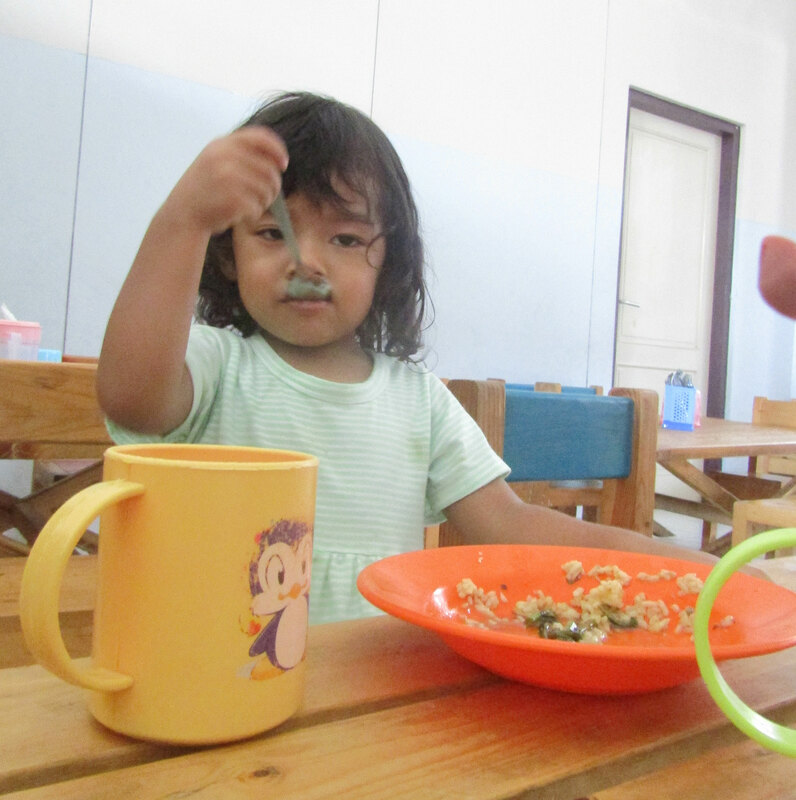 Child develops her independence & confidence in lunch time. daycare is a 1,5-6 years old child program that helps children to be more independent and confident in taking care of themselves, and also to build their routine by the scheduled activities. This program offers children to explore outdoor environment and activity, also experience new things. Children develop their practical life skill and independence by washing clothes activity.